Charities and non-profit organisations are generally classed as businesses where VAT is concerned.But some fundraising events can be exempt from Value Added Tax (VAT) under certain circumstances. Charities and non-profit organisations may not be required to register for VAT if they do not meet the VAT registration threshold. The current threshold is set at £68,000. If an organisation’s business activities turnover was above this amount in the previous year they would be required to register for VAT. 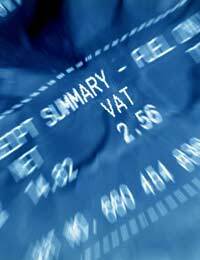 There are also many fundraising events that are exempt from paying VAT. These tax exemptions are set out by the HM Revenue and Customs, and there are rules on what actually qualifies as a fundraising event. What Actually Qualifies as a Fundraising Event? A fundraising event is defined as an event that is organised with the intention of raising money for a charity or qualifying organisation. The intention of the fundraising event must be clearly promoted; attendees must know what the money is being used for. Fundraising events are classed as ‘incidents’ that have a financial purpose or outcome. Fundraising events held by the same group or organisations are limited to 15 events per financial year held at the same location. Anymore than 15 events will mean that the fundraising organisation may not be exempt from tax. For VAT exemption purposes a voluntary organisation is a not for profit organisation that does not privately benefit their own members. The purpose of the voluntary organisation will usually be of public not private benefit. Voluntary organisations and charities will need to work out whether or not they do fall under the ‘qualifying body’ tax exemption rules. An exhaustive list of qualifying bodies can be obtained from the HM Revenues and Customs office. Events that are not geared specifically towards raising funds to benefit the public will not usually be exempt from tax. For example a fundraising event that is used to provide money for the members to go on holiday will not be tax exempt. Specifically requesting public donations by using street collections will not be VAT exempt. Selling goods only will not be exempt as this is not classed as an event. But if the sale of goods takes place within a larger event then this may be classed as an exemption. There are a number of records that should be kept during the organisation’s event planning stage. These can then be used as proof that the event was specifically held for fund raising and qualifies as tax exempt. Documents can include records of meetings including the minutes of the meetings. Flyers and tickets used to promote the fundraising event should also be clearly marked with the actual purpose of the event. The words ‘in aid of’ or ‘raising money for’ should be marked on the publicity material. Records of all publicity material should also be retained as proof. Although the events are limited to 15 events per year in any one location there is an exemption to this rule. If the event, for instance a weekly coffee morning, does not raise more than £1000 per week the 15 event rule does not apply. The £1000 is a gross income figure before any deductions such as hiring an event venue. If however this £1000 is exceeded in any week then all events that are held in the same week will count towards the 15 events limit. If the events held in the same week are similar, for example three coffee mornings in the one week, this may be classed as trading and not eligible for exemption. Value Added Tax exemptions for fundraisers can be a complicated business. Professional advice should be taken by both charities and other organisations before proceeding with a fundraising event. Knowing the exact exemption rules stipulated by the HM Revenues and Customs will be beneficial for any event organisers.